Jobs in mortgage telemarketing outsourcing are becoming increasingly popular. Mortgage companies looking for ways to make their businesses more efficient find that outsourcing mortgage telemarketers can be very beneficial. Individuals interested in combining an interest in finance with a telemarketing position can enjoy excellent career opportunities in this field. So what exactly is outsourcing? It's when one company contracts another to do a job for them. In this case, a company works with a telemarketing business in order to have someone else discover leads and make sales calls for them. Outsourcing this function can be a way to make money and bring in new clients without devoting the time and energy it takes to interview, hire, and train individuals to make the calls. The outsourced company does all of that for a fee. Many mortgage brokers don't have enough time to effectively prospect for new leads themselves. It's more cost-effective than hiring an in-house telemarketing staff since there's no need to interview, hire, or train individuals. Outsourcing can save time, since you're contracting with experienced professionals. By signing on with a telemarketing company, you get instant access to multiple workers who have experience in the mortgage industry. The main company does not have to provide benefits to the people making the calls-the outsourcing business does. You will have to sacrifice the building of relationships with prospects and clients, however, if you choose to outsource. No one from your facility will be directly communicating with the clients. Instead, people from another location who are not a part of your business will be the ones representing your mortgage company. Whether you're looking for information about mortgage telemarketing outsourcing because you're looking to hire telemarketers outside of your office, or you're looking for a job as a mortgage telemarketer, there are several places to look for the information you need. Tele-Center, Inc promises to find your match within one hour of the time you contact them with information about your business and your requirements. InteleServe transfers mortgage leads directly to client offices and has experience generating mortgage leads in all 50 states. 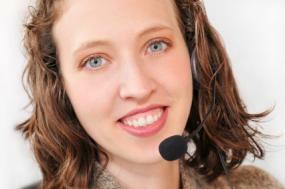 Telemarketing Consultant provides support for incoming calls as well as making outbound calls. What you'll be doing as a mortgage telemarketer is cold-calling potential clients and interested borrowers. You won't actually handle the whole transaction yourself if the person you call is interested. Instead, you'll usually give the prospect the basic information and then transfer the call to a loan consultant. If you decide to work as a telemarketer in the mortgage industry (or generally any industry), you will report to an immediate supervisor. You'll work within set guidelines and not be expected to make independent judgment calls. The average yearly salary falls between about $25,000 and $38,000, according to Salary.com. To find more specific salary information for your area, visit the website and put in your zip code. Mortgage telemarketing outsourcing is valuable for both those in the hiring position and those looking for new jobs. Companies don't have to devote time or energy to training individuals to make calls or find leads. Individuals learn about the mortgage industry, have upward career potential, and get to enjoy a reasonably nice pay.